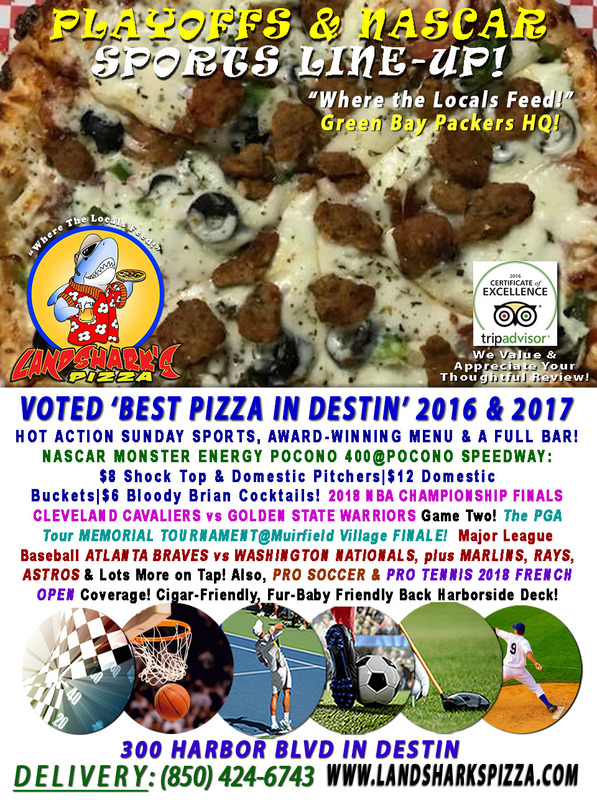 / Best Burger Deal in Destin FL / Beef & Brewskie $9.99 & Stanley Cup GOLDEN KNIGHTS vs CAPITALS & FRENCH OPEN! BEER TASTING & TEXAS HOLD’EM POKER@6PM! Beef & Brewskie $9.99 & Stanley Cup GOLDEN KNIGHTS vs CAPITALS & FRENCH OPEN! 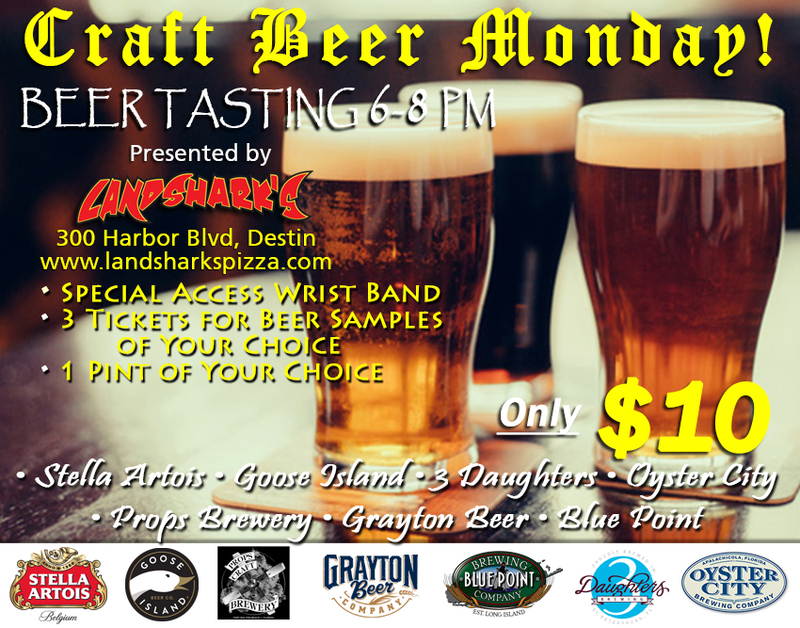 BEER TASTING & TEXAS HOLD’EM POKER@6PM! Landshark’s puts sunshine in Mondays with an ice-cold beverage and a piping hot, melty custom burger Special, great sports, Texas Hold’Em Poker and good company! IF THE EXTRATERRESTRIAL INVASION HAPPENED RIGHT NOW WOULD YOU HAVE ENOUGH PIZZA AND WINGS ON HAND TO SURVIVE!? 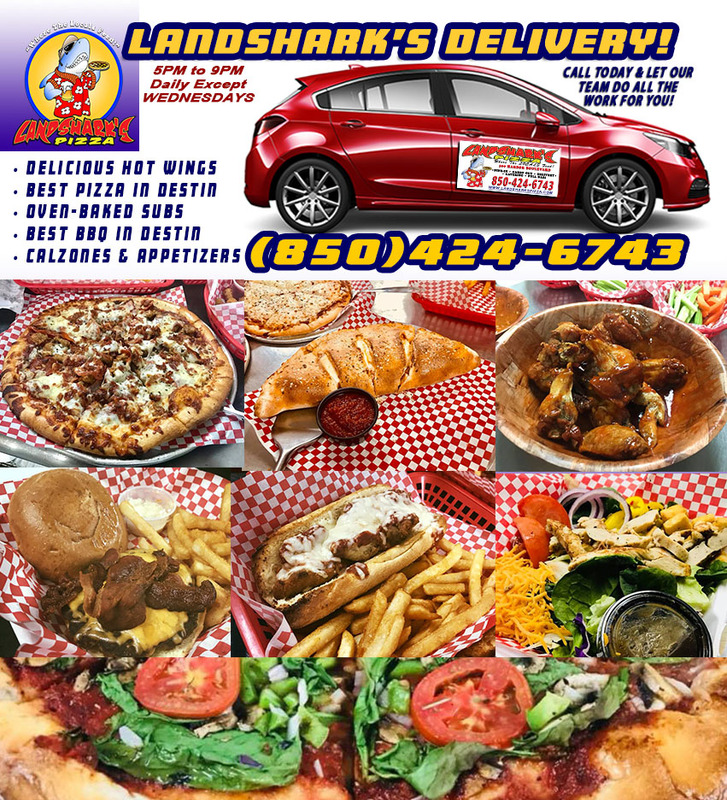 CALL FOR DELIVERY: (850)424-6743 – Don’t scurry around with the other civilians lookin’ all hungry and pathetic while you hide from the aliens – stock up on award-winning pizza, wings, oven-baked calzones, oven-fired subs, appetizers & more – and TRUST NOBODY but the Delivery Guy – he’s one of us!!! 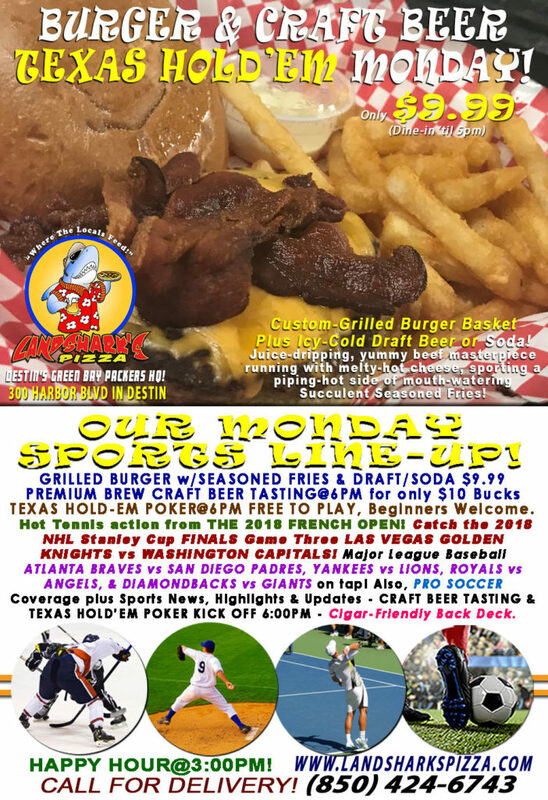 HOT SPORTS ON OUR ARMY OF BIG SCREENS – 2018 NHL Stanley Cup FINALS Game Three LAS VEGAS GOLDEN KNIGHTS vs WASHINGTON CAPITALS! Hot Tennis Majors action from THE 2018 FRENCH OPEN! 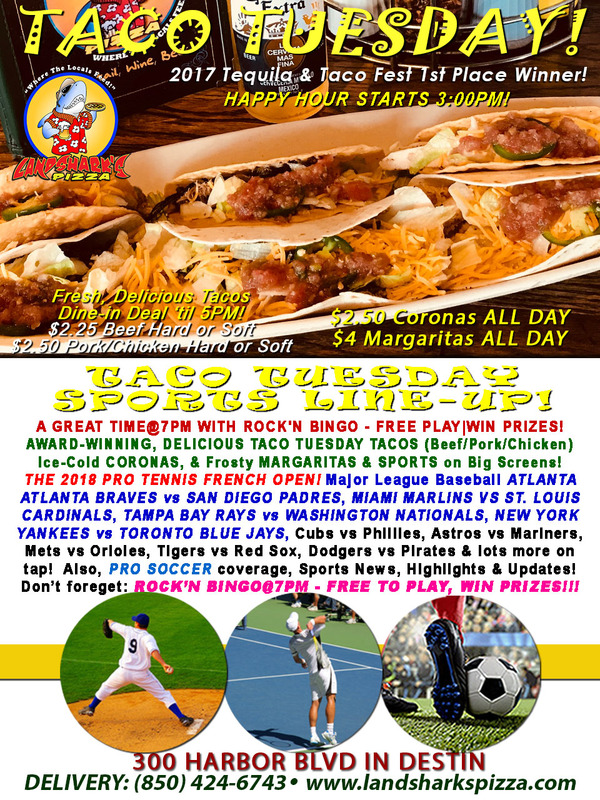 Major League Baseball ATLANTA BRAVES vs SAN DIEGO PADRES, YANKEES vs LIONS, ROYALS vs ANGELS, & DIAMONDBACKS vs GIANTS on tap! Also, PRO SOCCER coverage, Sports News, Highlights & Analysis! Previous Post: « Landshark’s CAVALIERS vs WARRIORS, PGA Finale, FRENCH OPEN, MLB & NASCAR Pocono 400 $8 Pitchers, $12 Buckets & More!